We've included these beaches for you: Pantai Kelanang Beach and Pantai Remis. Your inner history buff will appreciate Batu Caves and Putra Mosque. Get out of town with these interesting Kuala Lumpur side-trips: Kota Permai Golf & Country Club (in Shah Alam) and Genting Highlands (First World Plaza, Sky Casino, & more). Plan for a day of cool, family-friendly fun on the 19th (Wed) at Sunway Lagoon. Next up on the itinerary: take a stroll through Chinatown - Kuala Lumpur, buy something for everyone on your list at Central Market, admire the striking features of Petronas Twin Towers, and make a trip to KLCC - Bukit Bintang Pedestrian Walkway. 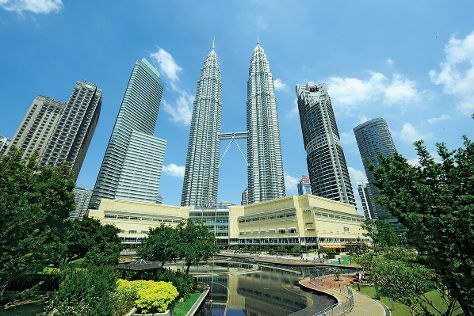 To find ratings, photos, other places to visit, and other tourist information, go to the Kuala Lumpur road trip planning tool . If you are flying in from Saudi Arabia, the closest major airports are Kuala Lumpur International Airport and Sultan Abdul Aziz Shah International Airport. September in Kuala Lumpur sees daily highs of 38°C and lows of 28°C at night. Finish up your sightseeing early on the 24th (Mon) so you can travel back home.